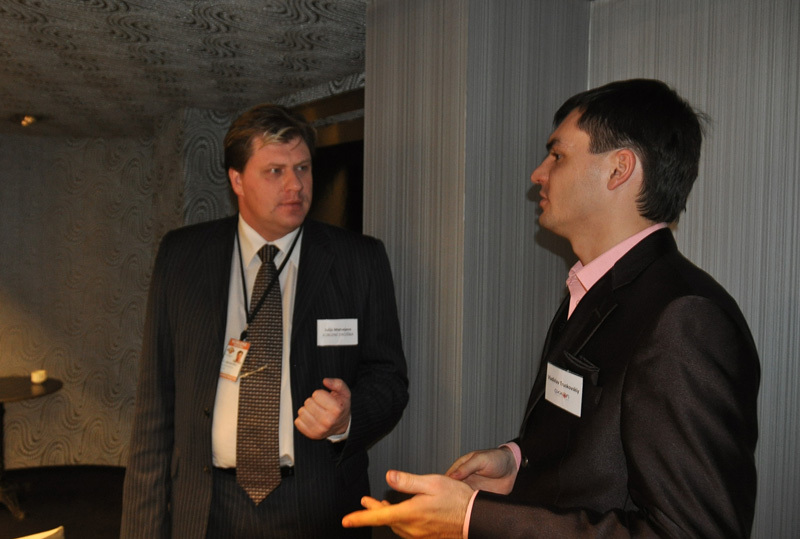 AxxonSoft held a conference for the Baltic countries in December 2012, celebrating the opening in Riga (Latvia) of a Competency Center by the company's partner Telekom Serviss. Alexey Mendelev, Director of the AxxonSoft Representative Office for Eastern Europe, opened the Riga conference with remarks on market trends and near-term prospects for AxxonSoft growth. He concluded the conference as well, congratulating Telekom Serviss with its new Competency Center status. 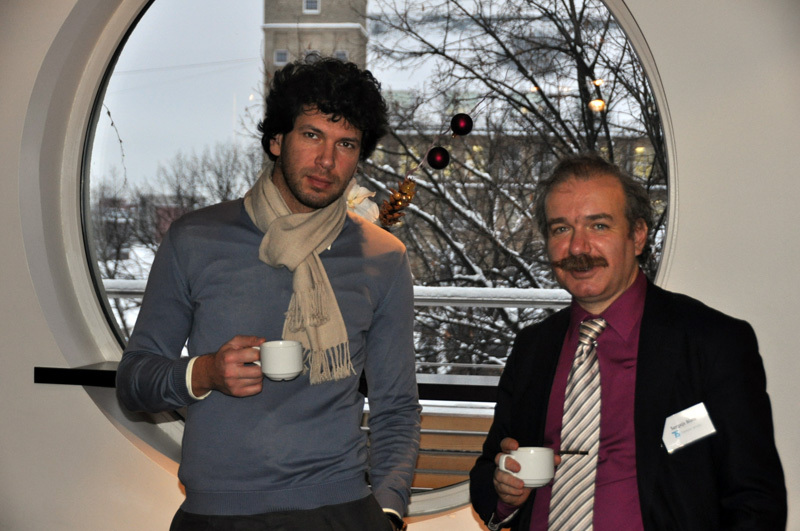 Latvia is an interesting Baltic country from an economic point of view for AxxonSoft as well as a familiar market. Thanks to Telekom Serviss, a partner of the company which has been providing installations with Axxon Intellect Enterprise software since 2003, AxxonSoft software is in use at Latvian banks, port facilities, magnet schools and universities, and even the parliament. 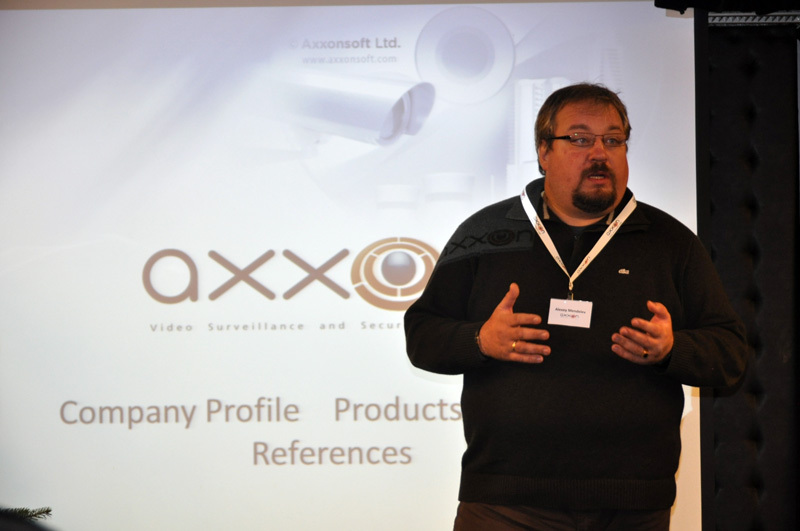 A conference highlight was the demonstration of the features of AxxonSoft products. Among these is support for integration for diverse security hardware, including legacy equipment that is already installed at security sites. Support for hybrid (analog + IP) video surveillance systems and transitioning from analog to IP without needing to replace all hardware drew enormous interest from conference guests. Exhaustive support for over 1,000 IP cameras and other devices from different hardware manufacturers makes AxxonSoft software attractive, as well as economical, for companies and government agencies alike. AxxonSoft's stand at the conference hosted a presentation of the company's new open-platform video management system, Axxon Next, in addition to demonstrations of forensic search of archives and vertical solutions based on the Intellect Enterprise platform: Face Intellect facial recognition, centralized fire/security alarm and access control systems, and Auto Intellect, which allows recognizing license plates and automatically recording traffic violations. 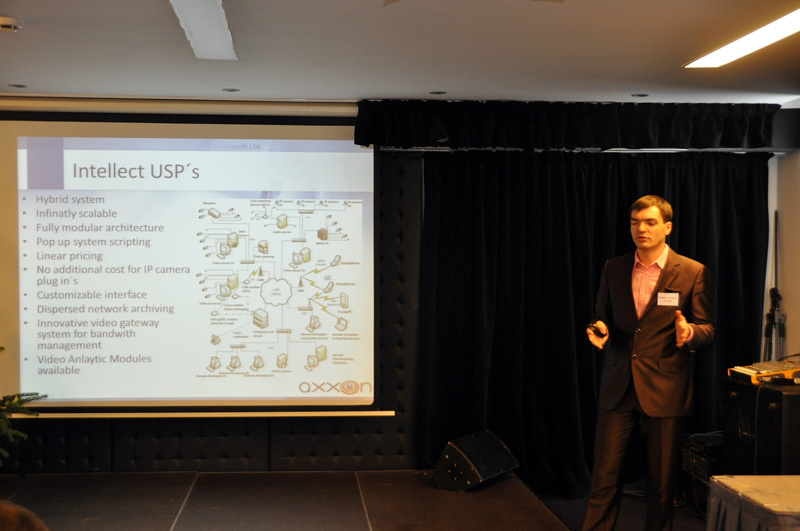 AxxonSoft technology partners, including Unipos, Vivotek and Integrator, showcased their own products with Axxon Intellect Enterprise integration. An integrated approach to deployment of security systems offers particularly significant advantages at large and mid-sized sites. Company representatives, partners, and conference visitors spent the day actively discussing the need for precisely such a product on the Baltic market. "I was delighted and honestly blown away to see all the features in Intellect and the add-on modules. 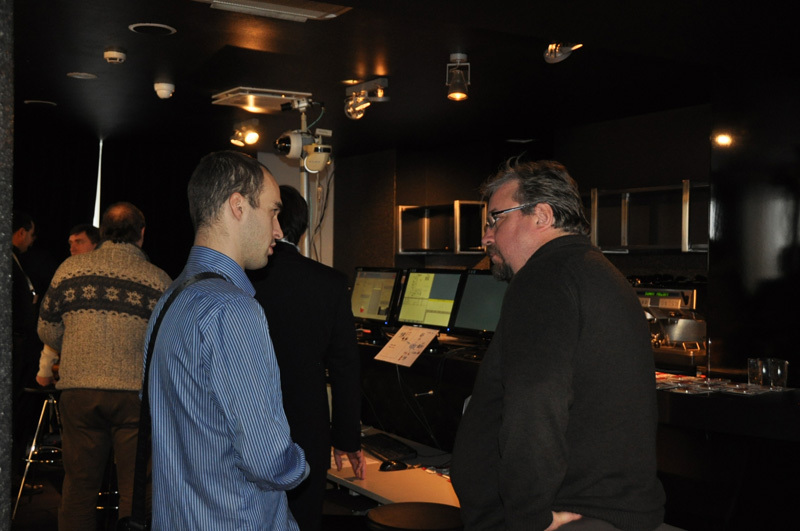 The seminar was interesting, not least because of the chance to try out the system in person at their demonstration stand,"
said Egīls Štegmanis, Director for Business Solutions at G4S. "The wonderful attitude and professional aptitude of the speakers and Competency Center employees during the seminar got things off to a great start. We've started a dialog for future cooperation and I hope to continue getting to know and use AxxonSoft products at our company,"
concluded Jurijs Balonuškovs, Technical Director and member of the Board of Directors of Koblenz Drošība. At the Competency Center, Telekom Serviss will offer support for AxxonSoft products and Latvian-language product training, as well as assistance in design and implementation at sites of all levels of complexity. 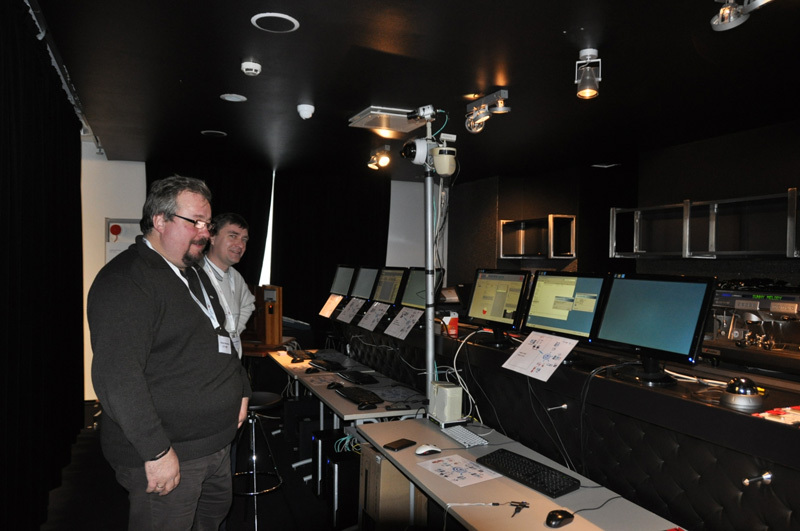 Telekom Serviss has a dedicated demo room with a full range of solutions for the security sector. Highly trained staff are capable of answering all client questions and assisting in site commissioning. And with the help of the Competency Center, AxxonSoft will be even nearer to its partners and new clients in the Baltic countries.